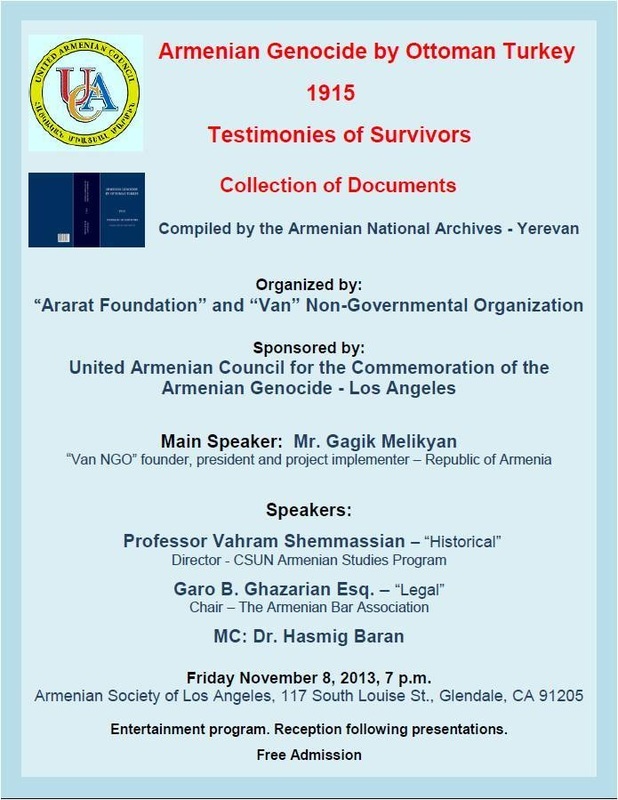 From October 30, 2013 through November 8, 2013, a member of the Armenian Bar Association, Vanna Kitsinian, Esq. 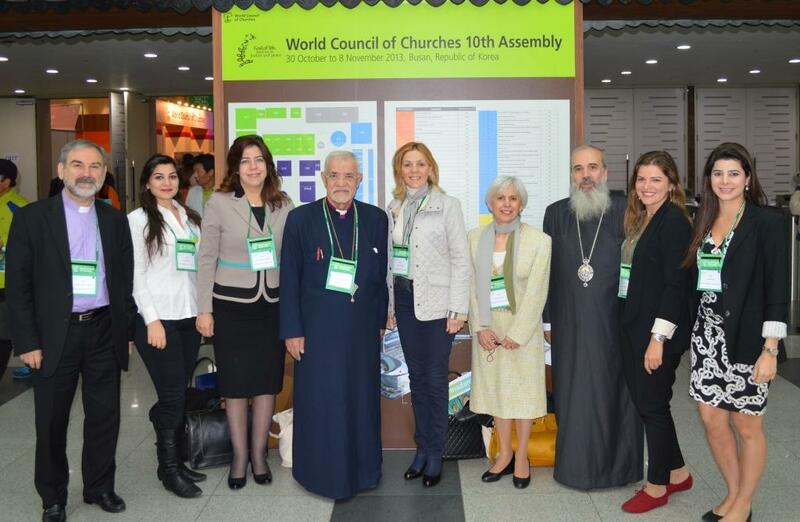 participated as a delegate on behalf of the Armenian Church at the World Council of Churches (WCC) 10th General Assembly in Busan, Korea. 60 years and longs for peace and the reunification of the Korean Peninsula. 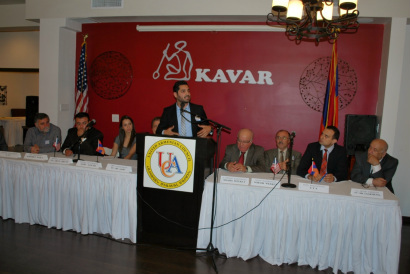 LAVAL, Quebec (Horizon Weekly) October 2013—The Canadian-Armenian community gathered on Sunday for the unveiling ceremony of an Armenian Genocide monument here, the third largest city in Quebec and the first Armenian Genocide monument in Canada.With this unveiling, the Canadian-Armenian community renewed its dedication and commitment to our national demands and to the Armenian Cause. Leaders of all Armenian denominations gathered at the monument, called “Crucifixion, Resurrection, Rebirth,” and performed the religious blessing ceremony, while community leaders, among them the chairman of the Joing Monument Committee, Sako Yacoubian, committee member, Hovig Tufenkndjian and chairman of Canada’s Genocide Centennial Committee, Mher Karakashian all expressed the Canadian-Armenian community’s commitment to justice. 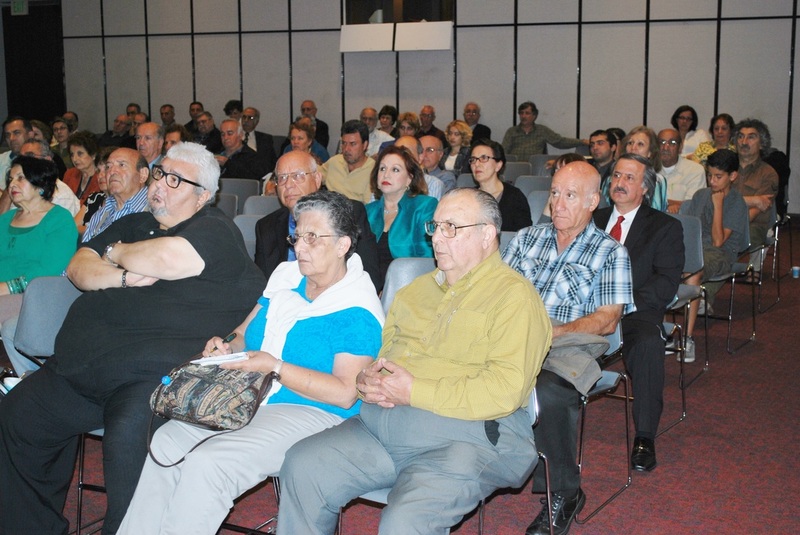 The monument’s creator, sculptor Arto Tchakmakdjian, said the meaning of the monument is hope. 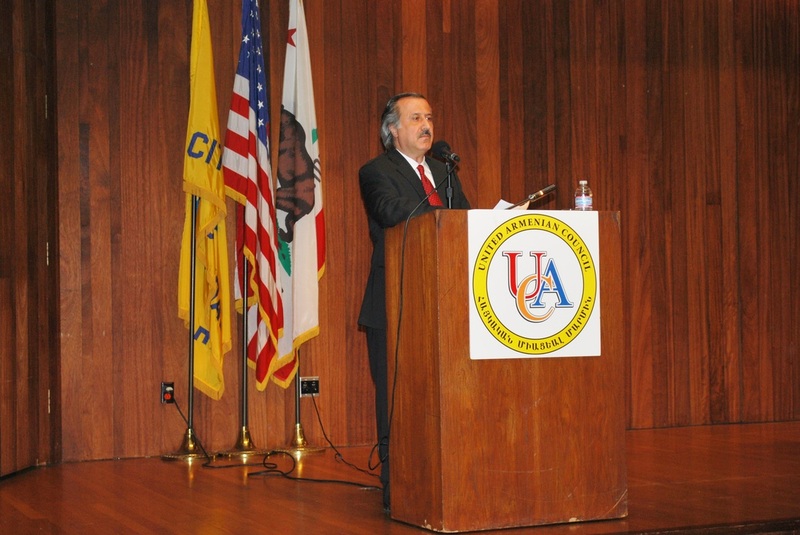 Also speaking at the event was Armenia’s Ambassador to Canada Armen Yeganian who called on the international community to recognize the Armenian Genocide. Local, regional and federal officials, past and present, were in attendance at the event and spoke about the need for the recognition of the Armenian Genocide and condemned the government of Turkey for its continued denial of the crime. 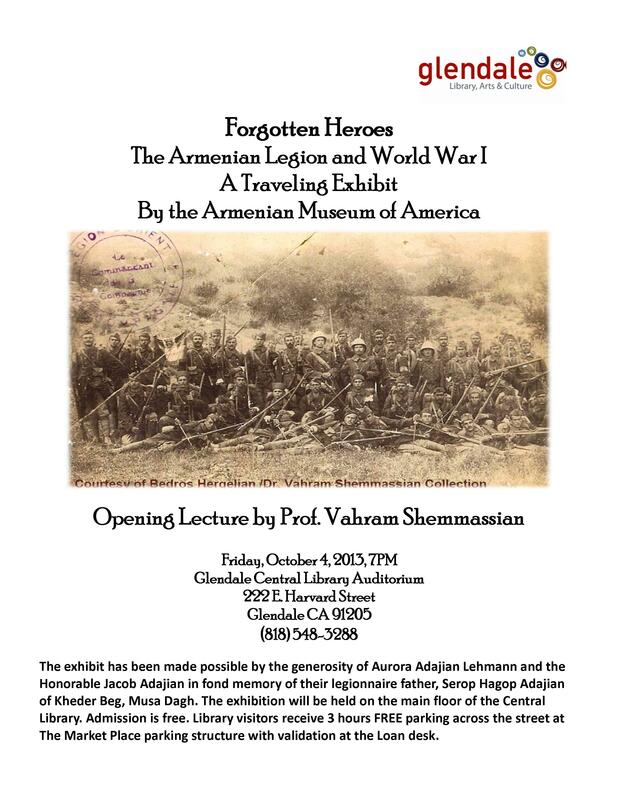 The Armenian Legion and World War I. 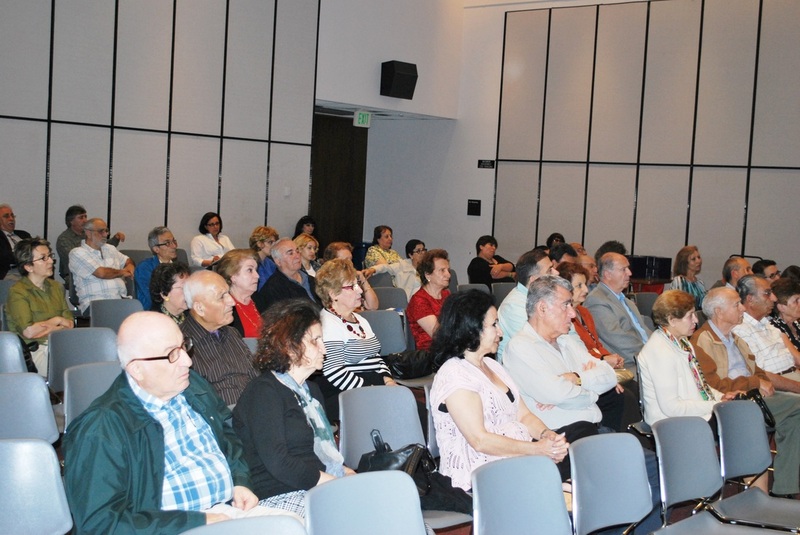 A Traveling Exhibit by: The Armenian Museum of America. This Event is Sponsored by: United Armenian Council of Los Angeles. 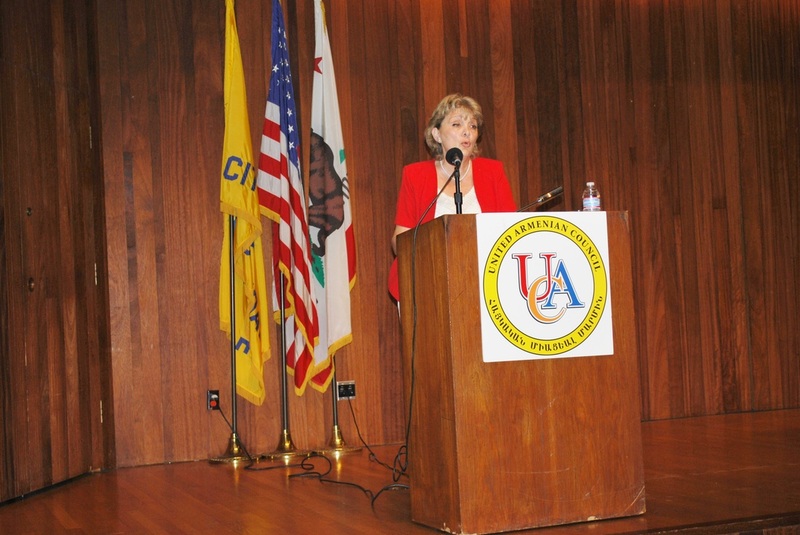 GLENDALE—The Glendale Unified School District Board on May 16 announced that beginning in 2014, all schools will be closed on April 24 “out of respect for the large Armenian community in Glendale and La Crescenta. 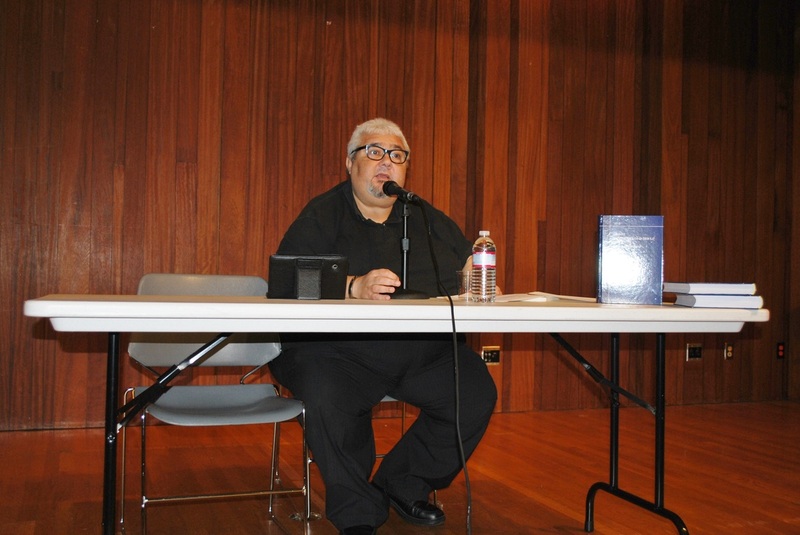 "The Armenian Genocide in the Ottoman Turkey: Accounts of the Survivors" (3 volume) book presentation. Worldwide Coverage News, Videos & Events on the 98th Anniversary of the Armenian Genocide Commemoration on April 24, 2013.